1925 HOLLAND CREAMERIES WORLD CHAMPION WASHINGTON SENATORS CARDS AT DAVE'S!! This set was issued by Holland Creameries in Winnipeg, Manitoba, Canada in 1925 to commemorate the World's Champion Washington Senators team. 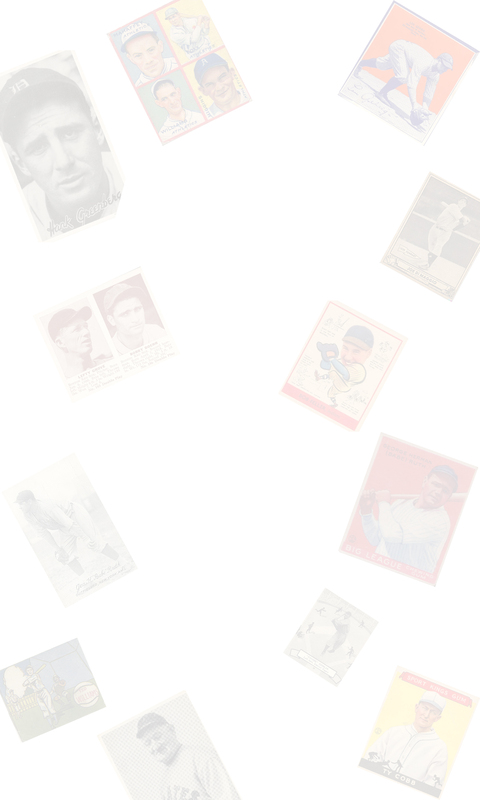 The set contains 18 cards and includes Walter Johnson, Roger Peckinpaugh, Bucky Harris, Goose Goslin, Sam Rice, and other Senators stars. Card number 16 Roger Peckinpaugh was intentionally withheld and is very scarce. The fronts feature portraits printed in blue and the backs are black printed wth advertising and a redemption offer for ice cream. The cards measure 1-1/2" x 3".